Everyone has heard of the Wright Bros, but very few remember hearing the name “Samuel Pierpont Langley.” The reason why could surprise you. It could also be the thing that helps your business do something you never thought possible. Take flight! “Public interest was high. Experts were eager to contribute. Money was readily available. Armed with every ingredient for success, Samuel Pierpont Langley set out in the early 1900s to be the first man to pilot an airplane. Highly regarded, he was a senior officer at the Smithsonian Institution, a mathematics professor who had also worked at Harvard. His friends included some of the most powerful men in government and business, including Andrew Carnegie and Alexander Graham Bell. Langley was given a $50,000 grant from the War Department to fund his project, a tremendous amount of money for the time. He pulled together the best minds of the day, a veritable dream team of talent and know-how. Langley and his team used the finest materials, and the press followed him everywhere. People all over the country were riveted to the story, waiting to read that he had achieved his goal. With the team he had gathered and ample resources, his success was guaranteed. Or was it? 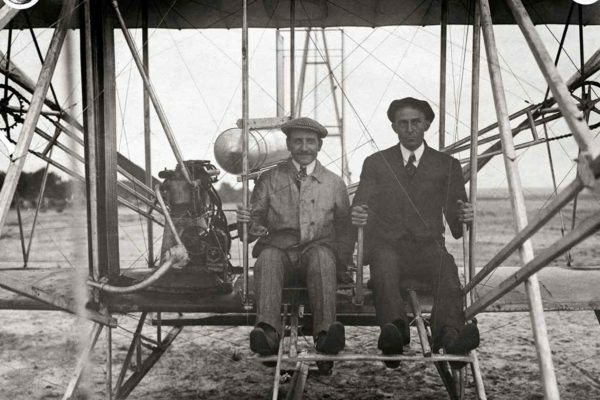 A few hundred miles away, Wilbur and Orville Wright were working on their own flying machine. Their passion to fly was so intense that it inspired the enthusiasm and commitment of a dedicated group in their hometown of Dayton, Ohio. There was no funding for their venture. No government grants. No high-level connections. Not a single person on the team had an advanced degree or even a college education, not even Wilbur or Orville. So how in the heck did the Wright brothers manage to beat the better equipped, far better funded and even better educated team of Langley’s? It wasn’t just by chance. The Wright brothers and Langley both were regarded as highly motivated. Both had a robust work ethic. Both had sharp scientific minds. There were in pursuit of precisely the same goal, yet only the Write brothers were able to inspire those around them and truly lead their team to develop a technology that would change the world. Only the Wright brothers chose to coach their team to victory rather than manage them. It’s important to not just lead your team, but inspire them. By framing their interactions as collaborative coaching exchanges and starting with “why” they succeeded where Sam Langley did not. If you’re interested in learning to coach your team, be it business or sport, rather than simply manage them; reach out for a complimentary free session. We look forward to sharing the key concepts that will change how you look at leading team forever. International Best Seller Status Unlocked. We hit #1 on Amazon!!! 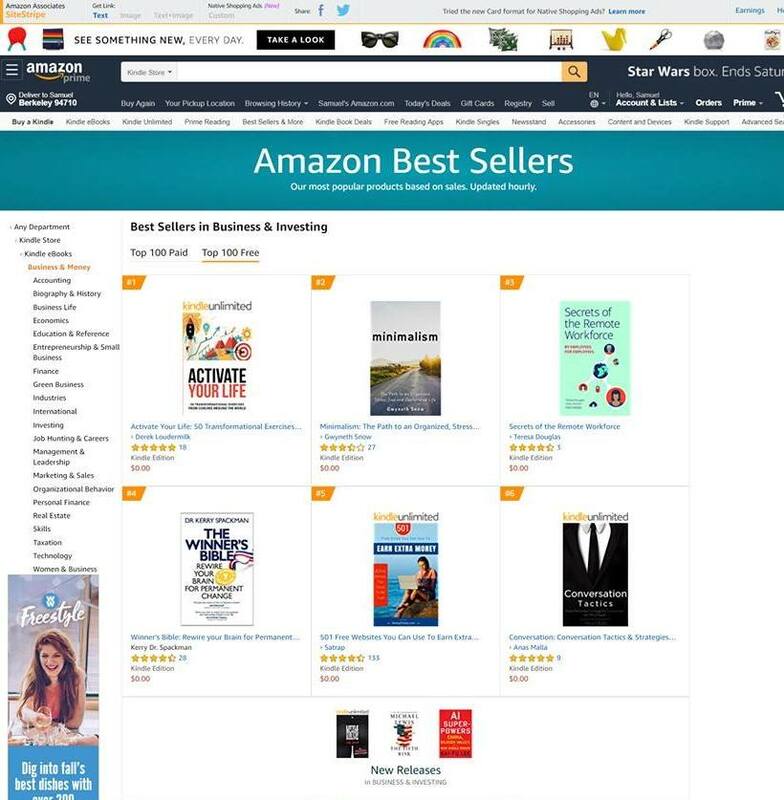 “Activate Your Life” launched on October 23rd, 2018 and almost instantly went to the top of the list on Amazon. 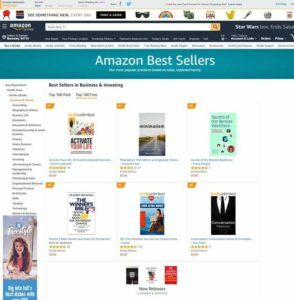 We hit #1 in the Self-Help category across the United States, Germany, Canada, UK, Australia, and others. The book rose to #5 overall on Amazon for non-fiction and was #70 in the entire Amazon store. How did we do it? “Many hands make light work…” The organizers and publisher of the book were able to collaborate and leverage the marketing power and collective creative genius of this amazing community of coaches across the globe. With the coordinated efforts of many motivated people working together we were able to reach more people and affect more lives with our work. Everyone benefits especially those who buy the book and start putting it to use in their lives and businesses. By working as a team with regular check ins and deadlines to hit we all felt the pressure to take action month by month. When it came time to actually launch the book we were able to work as a team to promote and market the book and push it out to all of our networks. Yes we were able to combine our collective talents and strengths developing the project, but having that coordinated push on a specific day was essential to satisfying Amazon’s algorithms. By collaborating with authors and contributors around the world, we were able to reach #1 across several categories in several countries! You can find our book on the shelves of some very unique corners of the world. Because of the range of time zones we were working from, it allowed us to keep the downloads and purchases flowing. It’s helpful to have people working the grass roots ground effort around the clock. We live in a global community. There are like-minded people wherever you go. Seek them out. Sit with them. Share stories. Build that community! Yeah I said it…because it’s true! You want to have the launch of the book be part of the process not the start of the process. Creating anticipation and taking your time to fully appreciate the value of the build up makes for a far better experience and improves your odds of success. By documenting the process with things like videos, live social media posts and blog posts celebrating milestones along the way you keep people aware and engaged with your project. They are along with you for the ride, so when it’s time to hit that purchase button for the book or a launch party invite they feel a vested interest in your success. Get a close circle of book reviewers ready to review the book too. You’ll likely be able to get a copy of the book to reviewers in time for them to read a good portion of the book so they are ready to write an authentic review on launch day increasing the chances other people will choose it. 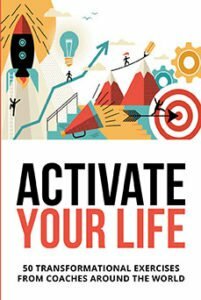 Purchase “Activate Your Life” today! Amazon’s algorithm works on an hourly cycle. In order to rise to the top of the rankings you need a concentrated period of activity immediately after launch. Once you build enough anticipation leading up to launch day, announce a free download period that only lasts 2 days or less. Give people a reason to flood your item and make it easy for them find the link they need. Having a digital version of your book for the kindle store and for Amazon increases the likelihood of hitting #1 tremendously. By now you get it. You NEED to get your message out on social media. Hopefully you’re already building a tribe and reaching people with your message. To keep the rankings moving up the line on launch day you’ll need to clear your schedule and get ACTIVE on social media that day especially. Keep your readers and potential downloaders aware of your rising ranking. People love to be part of something that is moving in the right direction. As the book launches and rises in the ranks be sure to screen shot it and spread the word. Get people excited and get ready for it to sky rocket. Follow these tips and you’re well on your way to being an International Best Selling Author! Really?! You’re watching another video about procrastination? You’re doing it again aren’t you? You’re cruising the interwebz instead of getting down to business. Well I’m with you. I’ve been meaning to get this blog post written for weeks now. In theory the new website is going live in less than a week!! If we can pull it off, it will be running smooth in time for the big book launch party on Thursday night. 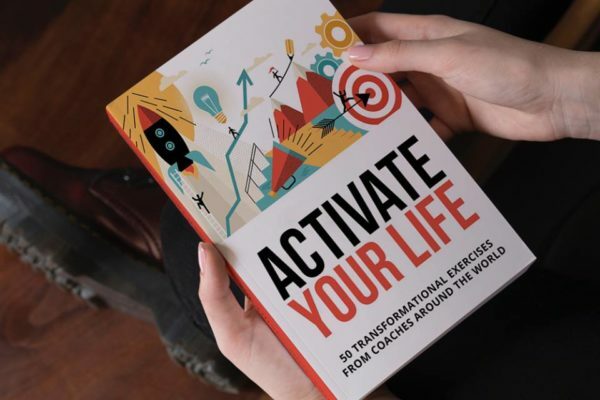 “Activate Your Life” hit number #1 on Amazon across several categories almost instantly so we actually have something to celebrate! So why is it so down to the wire? Admittedly I likely pushed the timeline of a year’s worth of work into 3 months to take full advantage of the visibility of the new book. When a good wave finally emerges you ‘turn on it’ and try to have the best ride possible whether you’re feeling ready or not. That said, I could have worked on it for 10 minutes here and there over the last few weeks and it would have been done and I could be hanging out soaking in the few remaining days of sun here in Portland, Oregon. In this video we explore some thoughts as to why we tend to put things off and what we can do to activate our natural tendencies as a species so we take on the behaviors that will truly serve us. Give it a watch but (here is a top tip) Use the options on the video to speed it up so you can get back to taking the actions that will truly allow you to feed the flow of your life and business!